Liscio’s Bakery Roll. American Cheese, Fried Onions and Beef Steak by Tony Luke’s, in Warminster, Pennsylvania. This place doesn’t need advertisement. However, it requires more exposure. When you’re dealing with accessibility, and the precision, of a particular way, you want it, and get what you deserve, in Tony Luke’s. I mean this place has a very special way. I didn’t understand until I visited the location, at 39 East Oregon Avenue. You get in. You view that menu, with numerous options. Place your order, sit, and get great taste, in a moment’s notice. It might be Italian Roast Pork, on a long roll, with Broccoli Rabe, the Cheese Steak or some other delectable item, or food combination. I got the Roast Pork. I have to say it took a long time, to find a place outside of Philadelphia that delivered the taste I expected. The imagined sandwich, on a long roll, with great cuts of roast pork, given a rich, special bath in gracious and loving gravy, that’s not heavily salted, weighed on my mind. The dream became a reality thanks to Tony Luke’s. I tried other places, outside the city. There are tastes, and flavors, that are good, but they didn’t deliver on my expectations. I did the same thing with the Cheese Steak. 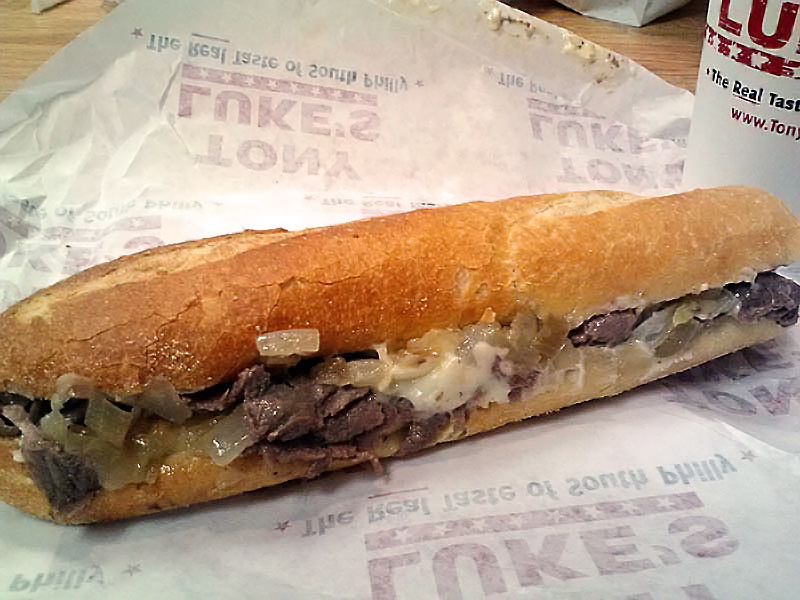 I discovered true beef, and cheese, on a great roll, with all the special extras, through Tony Luke’s. When I tasted it, it really was about the place, and time, the savory combination, of the fresh roll and well-prepared beef, and cheese, with a personal satisfaction, for what I wanted at that time. Really, that’s what Tony Luke’s expansion, outside of South Philadelphia, is about. When you capture a personal taste, flavor, and method to distribute it, to the world, as it is, it’s a special thing. 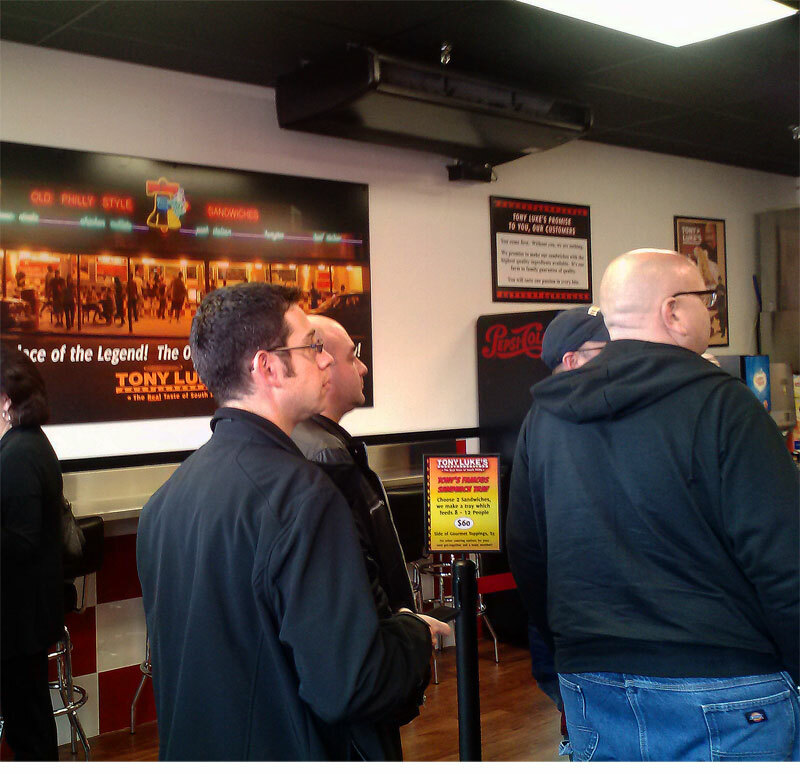 It can be about the people you meet at Tony Luke’s. You may take on a memorable challenge, while at the restaurant. You may have great conversations, at the restaurant, or conversations, that aren’t important. Know what Tony Luke’s is. This restaurant gives you what you want, in Philadelphia. Now you get what you want in Warminster, two weeks from this piece’s publication. You can get it in Los Angeles, New Jersey, Florida, or even Bahrain. You get what you want, and it’s good. 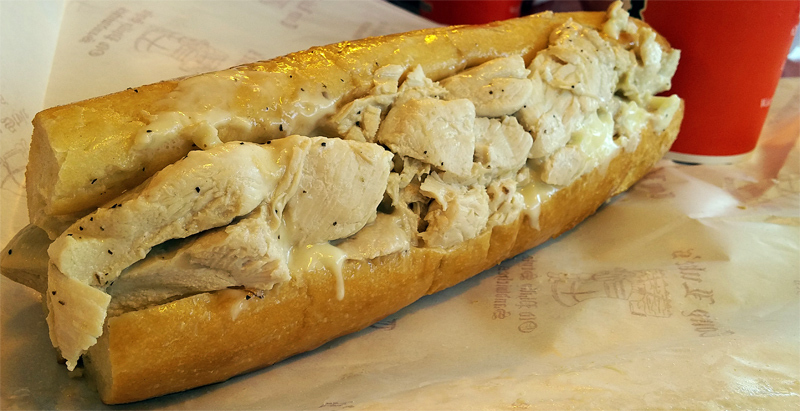 Chicken cheese steak like no other, by Tony Luke’s.